Productive, precise and as flexible as they come! CHIRON aims to set new standards in the demanding CNC machine tools sector with its pioneering CHIRON FZ/DZ16 machining centers. CHIRON Werke GmbH & Co. KG has its roots in Tuttlingen, Germany, a town well known as the "global center of medical technology" that’'s still home to the company’'s headquarters to this day. However, medical technology is not solely responsible for the impressive economic strength of the company's home region of Baden-Württemberg - southern Germany's technological powerhouse - mechanical engineering and metalworking have a part to play, too. 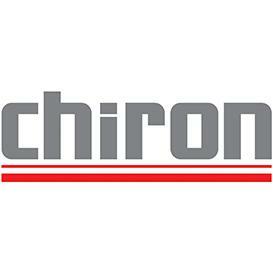 Nestled in the midst of this high-tech environment, CHIRON develops and produces highly sophisticated CNC machine tools and turnkey solutions - all 'Made in Germany'. No matter how complex a production task might seem, it’'s a pretty safe bet that CHIRON will find the right solution. Although the tried-and-tested CHIRON machining centers are manufactured in series production, their modular machine and component design means they can be customized to suit specific requirements and needs. The latest example of the company's innovative prowess is its CHIRON FZ/DZ16 machining centers. Thorough market research helped the company identify the requirements that would help shape the CHIRON FZ/DZ16, namely high precision, dynamics and best surface quality for increasingly complex workpieces. The end result is a fundamentally new machine platform in a mobile gantry format that's designed to offer customers a whole range of benefits. The new CHIRON FZ/DZ16 machining centers finally resolve the conflict between outstanding productivity, maximum precision and optimum flexibility - rolling all these into one. If you have any problems with the view then go to.